17. Pharmacogenomic analyzis of the responsiveness of gastrointestinal tumor cell lines to drug therapy: A transportome approach. Grañé-Boladeras N, Pérez-Torras S, Lozano JJ, Romero MR, Mazo A, Marín JJ, Pastor-Anglada M.
Pharmacol Res. 2016 Sep 9;113(Pt A):364-375. doi: 10.1016/j.phrs.2016.09.007. 16. The DARC-CD82 axis discloses bone marrow macrophages as guardians of long-term hematopoietic stem cells quiescence. Stem Cell Investig. 2016 Sep 1;3:44. doi: 10.21037/sci.2016.08.07. eCollection 2016. No abstract available. 15. Introduction to Special Issue on Mitochondrial Redox Signaling in Health and Disease. Bolaños JP, Cadenas E, Duchen MR, Hampton MB, Mann GE, Murphy MP. 14. Connexin43 recruits PTEN and Csk to inhibit c-Src activity in glioma cells and astrocytes. González-Sánchez A, Jaraíz-Rodríguez M, Domínguez-Prieto M, Herrero-González S, Medina JM, Tabernero A. 13. Protective role of biliverdin against bile acid-induced oxidative stress in liver cells. Gonzalez-Sanchez E, Perez MJ, Nytofte NS, Briz O, Monte MJ, Lozano E, Serrano MA, Marin JJ. Free Radic Biol Med. 2016 Aug;97:466-77. doi: 10.1016/j.freeradbiomed.2016.06.016. Epub 2016 Jul 5. 12. μ Opioid Receptor Expression after Morphine Administration Is Regulated by miR-212/132 Cluster. Garcia-Concejo A, Jimenez-Gonzalez A, Rodríguez RE. PLoS One. 2016 Jul 5;11(7):e0157806. doi: 10.1371/journal.pone.0157806. eCollection 2016. 11. Inflammation, glucose, and vascular cell damage: the role of the pentose phosphate pathway. Cardiovasc Diabetol. 2016 Jun 1;15:82. doi: 10.1186/s12933-016-0397-2. 10. Mitochondrial control of cell bioenergetics in Parkinson’s disease. 9. Bioenergetics and redox adaptations of astrocytes to neuronal activity. 8. ARMS/Kidins220 and synembryn-B levels regulate NGF-mediated secretion. López-Benito S, Lillo C, Hernández-Hernández Á, Chao MV, Arévalo JC. J Cell Sci. 2016 May 1;129(9):1866-77. doi: 10.1242/jcs.184168. Epub 2016 Mar 10. 7. Role of morphine, miR-212/132 and mu opioid receptor in the regulation of Bdnf in zebrafish embryos. Jimenez-Gonzalez A, García-Concejo A, López-Benito S, Gonzalez-Nunez V, Arévalo JC, Rodriguez RE. Biochim Biophys Acta. 2016 Jun;1860(6):1308-16. doi: 10.1016/j.bbagen.2016.03.001. Epub 2016 Mar 4. 6. Glia-neuron interactions in the mammalian retina. Prog Retin Eye Res. 2016 Mar;51:1-40. doi: 10.1016/j.preteyeres.2015.06.003. Epub 2015 Jun 23. Review. 5. NRF2 Orchestrates the Metabolic Shift during Induced Pluripotent Stem Cell Reprogramming. Hawkins KE, Joy S, Delhove JM, Kotiadis VN, Fernandez E, Fitzpatrick LM, Whiteford JR, King PJ, Bolanos JP, Duchen MR, Waddington SN, McKay TR. Cell Rep. 2016 Mar 1;14(8):1883-91. doi: 10.1016/j.celrep.2016.02.003. Epub 2016 Feb 18. 4. Role of Pharmacogenetics in Improving the Safety of Psychiatric Care by Predicting the Potential Risks of Mania in CYP2D6 Poor Metabolizers Diagnosed With Bipolar Disorder. 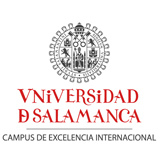 Sánchez-Iglesias S, García-Solaesa V, García-Berrocal B, Sanchez-Martín A, Lorenzo-Romo C, Martín-Pinto T, Gaedigk A, González-Buitrago JM, Isidoro-García M.
Medicine (Baltimore). 2016 Feb;95(6):e2473. doi: 10.1097/MD.0000000000002473. 3. Restrained Phosphatidylcholine Synthesis in a Cellular Model of Down’s Syndrome is Associated with the Overexpression of Dyrk1A. Hijazi M, Medina JM, Velasco A.
Mol Neurobiol. 2016 Jan 23. 2. Changes in the expression of LIMP-2 during cerulein-induced pancreatitis in rats. Effect of inhibition of leucocyte infiltration, cAMP and MAPKs early on in its development. Hernández VG, Sarmiento N, Sánchez-Bernal C, Coveñas R, Hernández-Hernández A, Calvo JJ, Sánchez-Yagüe J.
Int J Biochem Cell Biol. 2016 Jan 18. pii: S1357-2725(16)30010-3. doi: 10.1016/j.biocel.2016.01.010. 1. MSC surface markers (CD44, CD73, and CD90) can identify human MSC-derived extracellular vesicles by conventional flow cytometry. L Ramos T, Sánchez-Abarca LI, Muntión S, Preciado S, Puig N, López-Ruano G, Hernández-Hernández Á, Redondo A, Ortega R, Rodríguez C, Sánchez-Guijo F, Del Cañizo C.
Cell Commun Signal. 2016 Jan 12;14(1):2. doi: 10.1186/s12964-015-0124-8.